The Westchester Children's Museum offers exhibits that are designed to encourage imagination, interactive learning, and play. Much has been written about the importance of play in childhood development. Play is critical to cognitive, physical, social, and emotional growth. Play can also strengthen parent-child bonds. Play encourages children to be creative, solve problems, use their muscles, and engage with others as they discover the world around them – and their place in it. Adhering to a philosophy of Universal Design that goes well beyond providing accessibility for people with physical disabilities, the museum’s environment is multisensory, multilingual, and multicultural, with a variety of physical dynamics to enable visitors with any background or learning style to find their place. 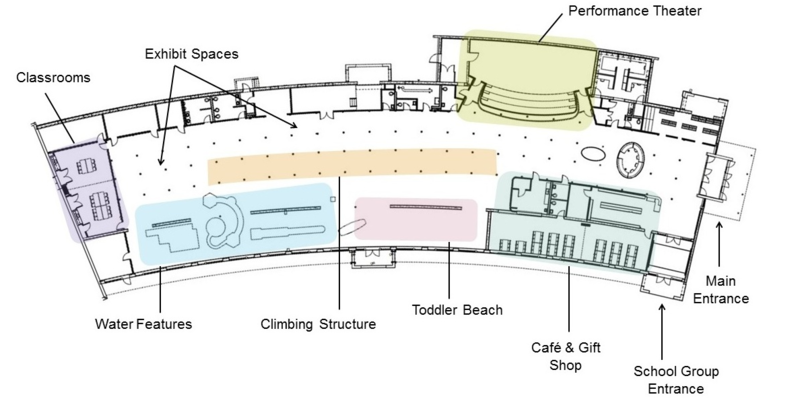 The design addresses the spatial and tactile needs of learners at varying stages of physical and cognitive development, and provides an environment that encourages social and cultural interaction, scientific inquiry, and playful exploration. Our exhibits were designed by Van Sickle & Rolleri, Ltd., planners, designers and producers of award-winning projects for visitor centers, museums, and educational environments focused on natural, cultural, and social history, the environment and physical science. Among their clients are the New York Botanical Garden, the Smithsonian Institute, and the Carnegie Museum.